Often, when people hear about CBD, they are filled with a lot of mixed feeling. They are usually not clear about the benefits or the side effects of this wonderful oil that is retrieved from Cannabis Sativa. In fact, when people discover that it is derived from Cannabis, which is very popular for its psychoactive effects, they often become sceptical and don’t want to know more. This is not strange, as we have been known to fear what we don’t or barely understand. This write-up aims to enlighten you about CBD. As you read along, you will understand the history, the reactions, the sceptics, the beliefs, the acceptance and the benefits of CBD. 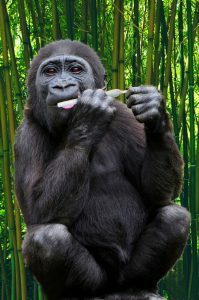 As strange as it might sound, the discovery of Cannabis Sativa which is the source plant of CBD can be dated as far back as the beginning of the history of man. The cultivation and use of cannabis has been traced back to an old village which is the modern day Taiwan. It dated back over 10,000 years ago. From this discovery, it was safe to say that Cannabis may be one of the earliest agricultural crops that were first cultivated by man. If we would also look at the civilisation of man, there is a place for Cannabis. It was one of the crops that helped in the civilisation of man, which has evolved to the modern civilisation we have now. In textile, medicine and even education, one would see the presence of the crop Cannabis Sativa playing a huge role. In 2,737 BCE, it was recorded that Emperor Shen Neng of China used it as medicine. Another common story is that Queen Victoria used to smoke Cannabis to ease her menstrual cramps. Even by 1563, Garcia da Orta, a Portuguese physician, said that his servants who took Cannabis, said they didn’t feel the effect of work they did, and it made them happy and very hungry. In agriculture, around late 1700, hemp, whose source is also Cannabis Sativa, was used for ropes and clothing. It is not only CBD that is acquired from the plant Cannabis Sativa. There is also hemp and Marijuana. There is not so much fear that comes with hemp as there is with Marijuana. Industrial hemp is more welcome for its abundant usefulness. 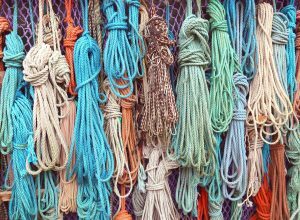 It is said to have the potential for the production of clothes, car parts, and other products, because of its ability to be spun into fibre. 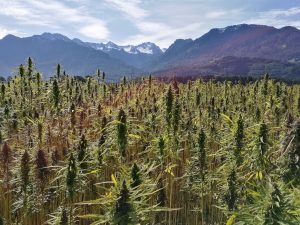 Even though hemp can only be grown in some countries under states regulations, countries are looking to make it a major cash crop. All this is not to say that Marijuana, which is also retrieved from the Cannabis Sativa, is not important. But unlike the hemp that was proven to have no potential for abuse, Marijuana remained delicate because of its potential for abuse. Yet, Marijuana cannot just be ignored or totally banned from use. It has been proven to be an effective relief from severe pains that painkillers and analgesics couldn’t handle. Therefore, the use of Marijuana has been subjected to regulations. 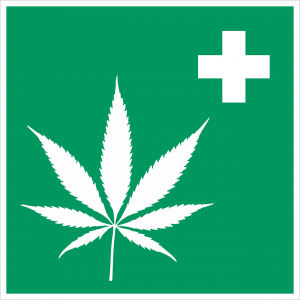 Medical Marijuana, as it is called is now, can be used to treat health problems. The consumption of medical Marijuana was not to get “high”. Although the Marijuana that is sold legally for medicine has the same ingredients as those used for pleasure, some medical Marijuana is specially grown to reduce the chemical that causes the feeling of euphoria. The fear of Cannabis Sativa stems from the fact that it is also the primary source of Marijuana Cannabis. Most people mix them up in their minds. They have no idea where to draw the lines. The uncertainty is even worse for oil like CBD whose name is very familiar with Cannabis. CBD began to be extracted in the mid-1950s when scientist began to study the medical benefits of Cannabis. The excitement of the discovery that it is a non-psychoactive part of the cannabis plant, made more scientist interested in further research. Before 1950, ten years earlier, American organic chemist Roger Adams isolated the CBD compound. However, he wasn’t able to identify what he had isolated. Then in 1960, Israeli Organic Chemist Raphael Mechoulam succeeded in not only isolating but in describing the chemical structure of CBD. After the breakthrough of the Israeli Organic Chemist, more and more scientists began to do a lot of research on CBD, thereby confirming the non-psychoactive qualities of the compound. As the certainty of the non-psychoactive components of CBD grew, the medicinal benefits of the oil began to spread. The benefits of CBD became more publicised in America, when the story of a young girl Charlotte Figi, who had a rare seizure, was treated by CBD. But, prior to that publication, the British Pharmacopoeia was referring to CBD tinctures for medical use. Cannabidiol began to gain acceptance in the science, medical and pharmaceutical market. People started to see all the wonders that it could do. It doesn’t have any potential of being abused and any mind-altering effect that is associated with Marijuana. Yet, it could do almost all the things that the medical Marijuana could do. CBD has been discovered to treat anxiety, resolve sleeping difficulty, relieve pain and reduce stress. Aside from all these that CBD has been known to do, people who use it over the years have testified of other benefits that it has. People who have used it with the intention of treating a particular ailment, often come back to say another ailment was treated. CBD has even been known to be able to treat many ailments that were thought not to be curable. Examples include cancer, schizophrenia, cervical cancer, leukaemia, lung, thyroid, and colon cancer in cells. There are also speculations that it will be able to treat breast and prostate cancer in the future. Cancer treatment is not cheap in any part of the world. It is not only an ailment that is not cheap to treat but one that has persistently being a source of concern in the medical world. With CBD, there is a sigh of relief. Although not entirely a breakthrough, it is a beacon of light in the dark world of cancer. Recently, scientists discovered that the human immune system has sensors for the cannabinoids that our body produces. In cases of inflammation, the internal cannabinoids become imbalanced. The intake of external cannabidiol helps to balance out this imbalance that experienced during inflammation. Scientists and pharmaceutical companies are very excited about this break in the discovery of CBD. Some countries and states where there was controversy on the health implications and benefits of CBD, there is now freedom to include them in drugs, tea, supplementary foods, and even candies. Even though there is still controversy on the proper amount that should be used in all these food products, people are beginning to embrace it, as word of its efficiency is spreading. When we talk about CBD, there is an optimism that comes with it. It is a component of the Cannabis Sativa that has come to stay. Since its discovery, there is being constant research to know and discover more about it. So to talk about the future of CBD is to look at it with a big picture in mind. Although, the future of CBD is hinging on legality, government policies and how much the farmers are willing to produce, yet one has to think about all the possibilities that CBD holds, and be excited about it. Furthermore, researchers are looking at producing a breed of seeds that contain a high level of CBD without the accompanying THC. 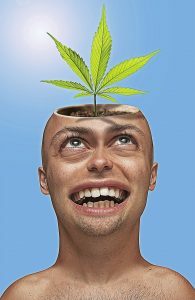 The level of THC tetrahydrocannabinol that is present in compounds of Cannabis is what determines the level of mind effect that it will have on a human. As for CBD, there is only 0.3 % of THC in it. Breeding a set of seeds that will contain just that amount or none at all will be a huge breakthrough. Like we said before, cannabidiol is also put in food supplements. Therefore, one of the most important food ingredients that will be produced after protein isolate and encapsulated omega is cannabidiol. This means that there is a big market for cannabidiol. The desire among consumers is shooting up, the importance is being understood, more varieties of seeds are being worked on, more research is being done, more health benefits are being discovered, more farmers are embracing the idea, more farmers will be needed, and more companies, merchants, salespeople and retailers will be on the demand. The future of CBD should indeed be viewed with a very big picture as it has a potentially wide market space. The Worth: Then, Now and the Future. Whenever there is an importance on something, and the importance is well understood, the price of that commodity increases. The same can be said of CBD. Before it sparked the amount of interest that it did, it was only Marijuana and the hemp from the plant Cannabis Sativa that had any value. But as time went on, it began to gain value. The theory of demand, supply and value began to take effect. One would think that pharmaceutical companies would be the ones who would benefit greatly from this new excitement that is in CBD, but people are trying to do away with drugs as much as possible and embrace natural remedies. This desire not only makes the use of CBD versatile but will open up opportunities for it to be a huge market. People have predicted that as the laws on Cannabis are being reviewed in more states and countries, there will be a very huge growth in the income that the sector will generate. But everyone who predicted this did not expect the acceptance that CBD will get, and now, there is a projection that between 2019 and 2022, the CBD market will be worth $22 billion. Between 2017 and 2018, when CBD spread to natural food stores, food supplements, beauty products and almost on every product on the aisle in a grocery store, the industry hit a track of $591 million. Observers are stating that in the next four years, the worth of the CBD industry could increase by 40 times. There is even word out that the money that could be generated from the CBD market, and the desire to purchase by consumers, could be likened to the gold rush. As funny as this may sound, everyone wants to try CBD on one disorder or another. People now want to try it on arthritis, endometritis, seizure, insect bites, and inflammations. Menstrual cramps, skin care and so on. The list is endless, and the CBD is proving to be potent enough to handle them all. Immediately the sceptics discovered that they can use CBD for severe pain, and not get stoned as they do from Marijuana, they became interested in CBD. It is a safe substance that gives you almost the same relief that Marijuana gives when used as medicine. Except that this one keeps you sane and does not alter your state of mind. It is everything that people believe to be good about Marijuana. 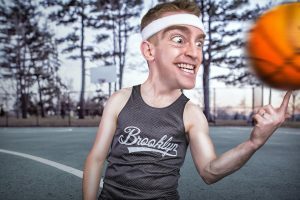 Most athletes and drug addicts, who use pain as an excuse, but really want to stop doing drugs, can find an alternative to their pain from the use of CBD. The substance that is usually tested for the use of drugs is THC which is very minimal in CBD; so one gets relief from pains, and is free from the hassles of the authorities. A perfect business to go into is the sale, manufacturing, farming or engaging in any business that involves CBD. It is advisable to cash in now that the opportunities are more with space for anyone. Now is the best time to look into getting a share of the green gold.